Updated 29 August 2017, post patch 1.10. The definitive version of this guide lives on the [MeCoCop reddit wiki]. Occasionally an Apex mission will glitch and be available many times per day. This happened with the mission "Rescue Operation" in late July 2017, and has happened in the past with one iteration of the "Deeper Into the Ruins" mission. In that case you can complete the mission multiple times and get the 10 MF for it each time, because it is considered a different mission each time. Note that this is a glitch, not the normal way that Apex missions work. I recommend at least 3-4 Strike Teams to maximize your chances of success on every mission, every day. In the past I strongly recommended against purchasing Equipment for your Strike Teams due to the dubious benefits and high opportunity costs. I am currently re-evaluating this stance, but I need to do more math before I officially change my recommendation. Don't sweat the negative traits. They are inevitable in the long run due to the mission design. Strike Teams are part of Mass Effect Andromeda (MEA). Conceptually they are teams you send out on missions, distinct from whatever your Ryder or multiplayer (MP) characters are doing. On success, a Strike Team returns with Missions Funds (MF), which are usable in MP; and loot boxes, which are usable in single player (SP). 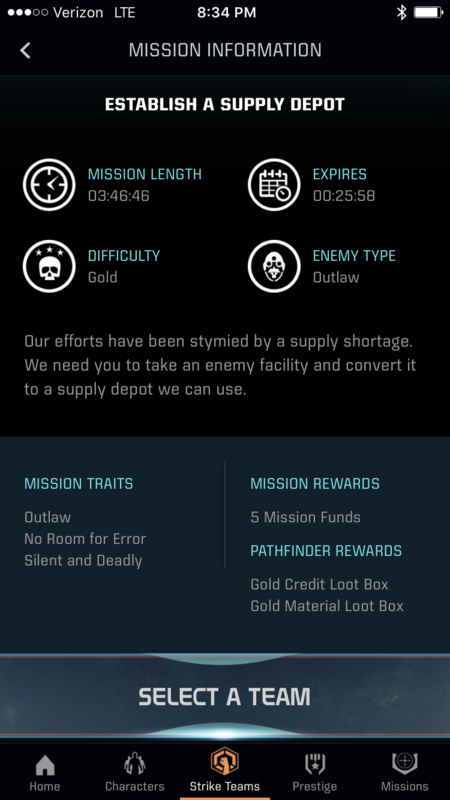 Strike Teams can be sent on missions either in-game or via the Apex HQ app. The purpose of this guide is to describe everything I know and have learned about Strike Teams, with a primary focus on using them within the Apex HQ app and in multiplayer. I do not play SP so I will only reference it in passing. Please refer to the following web pages for Bioware's description of the basics of Strike Teams and the Apex HQ app. The Apex HQ app is available for iOS and Android. The app is not available for Windows phones, likely due to their tiny market share (less than 1%). 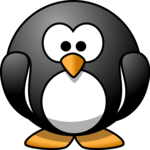 There is no web-based version of Apex HQ -- however, it should be theoretically possible to run the app in an Android emulator on your computer / web browser. Setting up an emulator and getting Apex HQ to run in it is beyond the scope of this document, so you're on your own for that. If you experience a problem with the Apex HQ app (or MEA as a game for that matter), please submit a bug report. I am just an enthusiastic fan; I'm not Bioware's tech support. Please note that you cannot use the Apex HQ app while you're signed into MEA the game (SP or MP), and that "it may take up to 12 minutes for the app to register that you've exited" MEA the game. An analogy: sending Strike Teams on missions is like playing a roulette wheel for free that pays you 5 MF or 10 MF per spin, with random chances of success. You're allowed to spin the wheel as many times as you want up to a maximum of 9 successes per day. 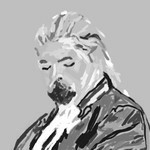 The penalty for failure is that time passes and that, in the very long run, your overall chance of success goes down. Thus my philosophy about Strike Teams is fairly Zen: don't worry too much about all the information in this guide. Just send your Strike Teams out on as many missions as possible and reap the rewards. The 12 possible mission traits and 3 possible enemy types are listed below. They correspond to Strike Team traits that provide either positive (+10) or negative (-10) Effectiveness on that type of mission. Exceptions: Alien Presence does not have a corresponding Positive Trait, and Hostage Situation does not have a corresponding Negative Trait. This was confirmed by /u/JustinsWorking from the Bioware app team in a private message to the author. You begin the game with one Strike Team. You can purchase additional Strike Teams, up to a maximum of 6, for 40 MF per number of teams beyond the first. That is: 40 MF for the 2nd team, 80 MF for the 3rd team, 120 MF for the 4th team, 160 MF for the 5th team, and 200 MF for the 6th team. For reason which are (somewhat) explained below, I believe the optimal number of Strike Teams is 3. Three teams gives you the ability to attempt every mission every day, balanced against not spending too many MF on excess teams that would be sitting idle. You can dismiss a Strike Team, which permanently removes it (and any Strike Team Equipment it has) from your game. If you do this, the cost to recruit another Strike Team will be based on your new current number of teams. In addition to the +10 and -10 traits listed above that apply to certain mission types, Strike Teams can also accumulate +5 and -5 traits that are always in effect. Known examples are shown below, but the names of the +5/-5 traits are cosmetic only. Strike Teams can spawn at level 1 with a positive trait, and will typically accumulate 4 more positive traits by level 20. (More on this below.) Positive traits are acquired on level up at levels divisible by 5. Strike Teams can acquire an apparently unlimited number of negative traits. The highest confirmed (via screenshot) number of negative traits is 21, from VladImpalerIII on BSN, [link]. See also 13 negative traits on [imgur] courtesy of /u/PrimoPandito. But there is theoretically no upper limit to the number of negative traits that can be acquired. In a response to a reddit thread, /u/BioWare_Online_QA stated that he/she has test teams with 'a lot more' negative traits ([source]). According to the Bioware Apex HQ information, negative traits are acquired on 'critical failures', though there has been anecdotal evidence of Strike Teams acquiring a negative trait even on a successful mission. /u/JustinsWorking, a Bioware employee on the Apex HQ app team, stated that critical failure means the Strike Team "rolled bad enough to get the negative trait" ([source]). Based on this comment on my own observations, I believe that negative traits are entirely random -- 'critical failure' is not related to the success chance of the mission nor to the specific mission traits compared to your Strike Team's strengths and weaknesses. Because mission success chances can never reach 100% (more below) and because negative traits can be acquired on 'critical failures', in the very long run every Strike Team will end up with a lot of negative traits. However, see the Strike Team Philosophy section above: it doesn't really matter. Strike Teams level up based on XP. See the XP chart below. Past level 20, a Strike Team will continue to accumulate XP, but it will no longer level up. Strike Teams typically acquire a new positive trait every 5 levels (i.e., at levels 5, 10, 15, and 20). This will happen upon level-up, regardless of whether the XP was acquired from a successful or failed mission. A Strike Team can also begin with a random positive trait at level 1. Thus the maximum number of positive traits is 5 at level 20. There is speculation that a Strike Team may not acquire a positive trait if the team critically fails a mission that provides enough XP to level up to a level divisible by 5. In this situation, the negative trait appears to overwrite the positive trait. Thus, an unlucky Strike Team may have fewer positive traits than otherwise expected. If you want to maximize the chances of getting all your positive traits, baby your Strike Teams when they get close to levels 5, 10, 15, and 20 (by sending them only on high success chance missions). It is also possible that a Strike Team that accumulates enough XP to skip a level divisible by 5 will not receive a positive trait for that level. This would typically happen at low level, skipping past level 5 to level 6 via a successful Silver or Gold difficulty mission. To avoid this, don't send your low-level Strike Teams on missions that could cause them to skip over level 5. Successful missions provide XP (see below) and MF (5 MF for non-Apex missions and 10 MF for Apex missions). Failed missions provide 10% of the XP of a successful mission. The amount of XP increases with the difficulty level of the mission (Bronze, Silver, Gold), as shown in the tables below. Apex missions provide more XP than non-Apex missions, even though they have the same success chances. Therefor, if you're in a time crunch and can only send your sub-level 20 Strike Teams on a few missions, prioritize the Apex missions! Note that failed Gold difficulty missions provide more XP than successful Bronze difficulty missions. One implication is that, if you don't mind the risks of failure (i.e., acquiring a negative trait), you can quickly level up a Strike Team by sending it on Gold missions, regardless of success chance. Each mission has a Success Chance theoretically ranging from 0% to 100%. However, the lowest observed success chance is 5% and the highest observed success chance is 94%. Thus it appears that success chances are capped at both the low-end and high-end. The following chart shows my observed base success chances -- that is, success chances when there are zero positive Strike Team traits in play. Gaps in the chart are due to gaps in my data. Bronze success chances start at 70% and plateau at 94% for a level 15-20 Strike Team. Silver success chances start at 21% and plateau at around 90% for a level 20 Strike Team. With positive Effectiveness, Silver success can be as high as 93%. 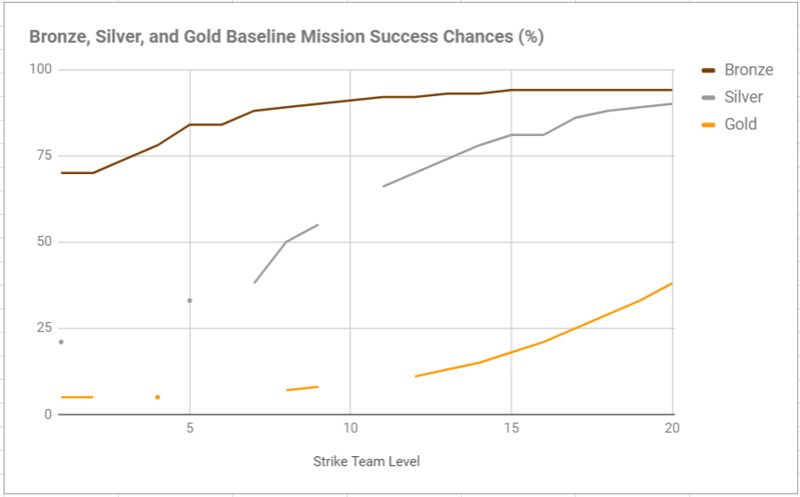 Gold success chances start at 5% and plateau at 38% for a level 20 Strike Team. Gold success chances can be considerably higher with the right combination of positive Effectiveness: as high as 92% with the perfect storm of traits as shown by /u/PrimoPandito (source [reddit thread], [imgur]). Strike Team Effectiveness (from positive traits, negative traits, and equipment) modifies the baseline success chance. However, the modification is NOT on a one-for-one basis. The fact that Effectiveness does not modify Success Chance on a one-for-one basis has important implications for the purchasing of Strike Team Equipment (it's probably not worth it) and for how to rotate your strike teams. What the above table shows is that Negative Effectiveness is not as bad as it should be, and Positive Effectiveness is better than it should be up to a certain point. It appears that somewhere around +40 to +45 Effectiveness, the actual marginal difference is less than what is listed. This means that further gains (from Strike Team equipment) have less and less positive impact. Positive and Negative Effectiveness modifiers stack and cancel each other out numerically, regardless of type. For example, a Strike Team with Corruptible -10 and Outlaw Specialist +10 on a mission vs. Outlaws that has the Bribe Attempt trait will have +0 Bonus Effectiveness. In other words, this is the same success chance that a clean Strike Team (with no Effectiveness modifiers) would have on that same mission. The bottom line is that while we can continue to work to understand how success chances are calculated and how Effectiveness impacts success chances, it doesn't really matter. You will always know your Strike Team's success chance on a given mission because it is displayed in the app or game. You can then choose which missions to send your Strike Teams on according to your preferred strategy. There are 9 missions spread across difficulty levels, with one Apex mission per difficulty level. Missions rotate every 4 hours. /u/zoso_is_not_a_word provided the following schedule ([source]). All missions remains available for roughly 24 hours. On many Thursdays, a special story mission has become available a little before the 10:00 Pacific time of the Bioware Twitch stream. These missions each get a briefing that is used to introduce new MP game elements, as well as an associated Apex mission that can be played in-game or via Strike Team. Assuming you are able to use the Apex HQ app regularly throughout the day, with 3 Strike Teams you should easily be able to attempt all 9 missions every day. Thus your **maximum expected MF per day from missions is 60** (6 * 5 + 3 * 10), assuming all are successful. Even with some failed missions you should have enough time to re-attempt the missions enough times to succeed eventually. With 4+ Strike Teams you will be able to cherry pick missions based on success chances and you should have no trouble attempting and re-attempting all 9 missions every day. Alternatively you would need to check the Apex HQ app less frequently throughout the day. With 2 Strike Teams you will need to be more selective about which missions to attempt, prioritizing Apex missions (for the 10 MF) and high success chance missions (because MF payout is independent of success chance). You will also get fewer cracks at failed missions. With 1 Strike Team it will not be possible to attempt all 9 missions every day. You will need to be even more selective. Any mission that is labeled as an Apex mission can be played in-game (in MP). These missions will have an in-game modifier, such as more/less damage from certain weapons, stronger/weaker shields or health, vastly improved enemy melee damage, etc. In-game Apex missions with modifiers that make them harder typically pay out more MP XP and Credits, and the converse is also true. Note that Combotastic has a negative Credits modifier that is not displayed on screen. You can repeatedly play the Apex missions in-game for the bonus XP and credits, but you can only receive the Mission Funds once per mission (regardless of whether you play it in-game or send a Strike Team to do it). Choose the missions from the Custom Mission selection screen. As of the introduction of Platinum difficulty on 10 July 2017, there is also one Platinum Apex mission each day that is only playable in-game. You cannot send a Strike Team on this mission. It pays out 15 MF, in addition to (usually positively modified) Platinum Credits and XP, so this is well worth playing every day if you have time. If you come across a Gold Apex mission for which all of your Strike Teams have a low success chance, keep in mind that you can play it in-game relatively easily (assuming you are experienced with Gold difficulty) to get the MF. However, never let a Gold Apex mission expire merely because you were waiting to play it in-game! It's better to send a Strike Team, even at a low success chance. You can always play the mission in-game anyway for the potential bonus XP and Credits. It's probably not worth it. Don't waste your MF. Oh... you want some real information? Fine. You can outfit your Strike Teams with equipment that will improve their Effectiveness on all missions, or on certain types of missions, as shown in the table below. I do not know why some mission traits have associated Equipment and some do not. Equipment is locked to the Strike Team for whom it was purchased: the equipment can never be removed or moved to a different team. If you purchase new equipment for a team, this will overwrite the old equipment and you will not be refunded any MF. If you dismiss a Strike Team that has equipment, the equipment is gone and you will also not be refunded any MF. Because of the diminishing returns in Effectiveness, purchasing Strike Team Equipment is probably not worth the cost in MF. You would be incrementally improving your success chance by such a small amount that the payback period for any equipment is too long to justify the purchase. In addition, the opportunity cost of spending MF on Strike Team Equipment is far too high as of patch 1.09, which introduced a huge amount of ways to spend MF to benefit yourself in-game. Also consider that the +20 'always applicable' equipment, Exceptional Human Intelligence, costs 250 MF. For that many MF you could have instead purchased your 2nd, 3rd, and 4th Strike Teams with 10 MF left over. Four Strike Teams is more than enough to maximize your attempts at all missions every day. In addition, the fact that you can retry failed missions an unlimited number of times (until the mission expires) means that even low success chances are statistically likely to succeed -- in fact, far more likely than even using the best possible Equipment. For example, consider a Gold mission with a 38% success chance. Assuming you are able to attempt this mission 4 times (which is reasonable for a 5-hour mission if you're awake 16 hours a day), the chance of failing the mission all 4 times is only about 15% -- or conversely, the chance of at least one success in those 4 attempts is 85%. There is no Equipment you could possibly buy that would raise a Strike Team's success chance from 38% to 85%. A note on Equipment costs: for Equipment that is always applicable (Adrenaline Shots, Crate of Specialized Ammo, etc. up to Exceptional Human Intelligence) the MF cost per Effectiveness is fixed at 12.5. The equipment that is only applicable on certain types of missions (Quick Response Vehicle, Breaching Charges, Night Vision, and All Weather Gear) initially appears to have much more favorable MF-to-Effectiveness ratios of between 5 and 3.125. However, it's important to remember that the 12 mission traits are randomly distributed. Thus you need to multiply the MF-to-Effectiveness ratios of the specialized equipment by 12 to determine their true values, which range from 60 down to 37.5. The implication is that if you are going to purchase Equipment, you should only purchase the 'always applicable' equipment. I am currently re-evaluating my 'never buy Equipment' stance. I will update this guide in the future. For a list of in-game equipment items that have been available, please see my [Equipment Availability List]. As of patches 1.08 and 1.09, you can also spend MF on a variety of in-game items. Purchasing Characters and Weapons with MF is just like getting one in an item pack: the character or weapon will be unlocked at Rank I if you didn't already have it, or will have its rank incremented by one if you did. There are also special Variant Weapon Mods introduced in patch 1.09 that can *only* be purchased using MF. These variant mods typically have a trade-off, such as worse accuracy in exchange for more damage. 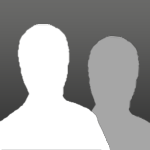 They are listed in the [Numerical Data Masterbook]. Unless your manifest is almost maxed at a given rarity, or you want one of the variant weapon mods, I don't think it is worth it to spend MF unlocking items that you could already unlock using Credits or Andromeda Points to purchase packs. For example, I don't think it is worth using 120 MF to purchase a Random Rare Character when you could instead spend 50,000 Cr (less than one Gold game's payout) on an Expert Pack. (*) This bonus applies to the *base* XP per mission difficulty (Bronze, Silver, Gold) and not to the total XP earned in that mission. Spending MF for Supplies doesn't seem worth it to me given how cheaply you can acquire them using in-game credits: 2,000 credits for a Supply Pack guarantees you one of each consumable plus a random Booster. Spending MF for the Experience Enhancers may be worth it depending upon how quickly you want to level up your MP characters or grind for Bonus Stats. You can also spend 15 MF for a character respec card. These tend to drop pretty regularly from in-game Packs, so again I don't think it is worth it to spend MF on respecs. As of patch 1.09, there are 2 Daily Challenges per day, each of which is worth 30 MF. These challenges can only be completed in-game (not in the Apex HQ app). They are visible under Prestige / Challenges. Two Daily Challenges spawn randomly every day. They can be worked on simultaneously where feasible. For example, if the challenges were Firebase Derelict Waves and Kett Points, you could accumulate credits towards both of them by fighting Kett on Derelict. Typically two Gold matches are enough to meet the requirements. If you're having trouble, try a solo Bronze or Silver game that meets the criteria; in-game points are not affected by difficulty level, and during a solo game, *you* get all the points. Combat points: Do a Bronze solo with the Human Soldier. Kill *everything* with Frag Grenades and Concussive Shots. (Use 4B Repeat Concussion which modifies Concussive Shot to use Power Cells.) This should get you around 30,000 Combat points. Get the rest in a normal Gold game. Biotic points: The Human Adept with Singularity or the Asari Adept with Annihilation can accumulate a large number of points, so a couple of Gold games should do it. 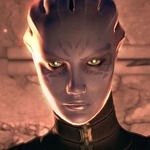 If not, do a Bronze solo as the Human Adept and kill *everything* with your Biotic powers. Tech points: This is by far the hardest challenge, because Tech powers do less damage than Combat or Biotic powers. Flamethrower (on the Krogan Mercenary or Turian Agent) is slow to kill, but it may be the most effective Tech power for challenge purposes. Incinerate is also a good killing power. All of the information in this guide comes from my own knowledge as well as what I have gleaned on [reddit] and [the unofficial Bioware fan forums]. /u/Waffolani on reddit started the thread [[PSA] Strike Teams, Equipment, and Effectiveness] to compile strike team info that was previously scattered across multiple threads. 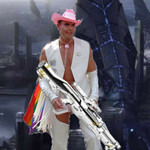 'Dave the Scrub' on BSN (the unofficial Bioware Social Network fan forums) started the thread [Strike Teams - Why They Matter] which was the de facto info source on that site. You are welcome to use my data for any non-commercial purposes as long as you cite my username (JRandall0308) as the source. You may *not* use my data in any commercial product. This guide may contain errors or mistaken assumptions. Use it at your own risk! Thank you for reading my guide, and thank you to everyone who contributes information. I read every comment on reddit and BSN, and I respond when I can. I hope this information is helpful. I will continue to update this guide periodically. 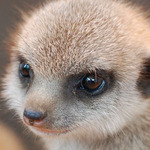 I'll start posting my random observations here then, rather than the mega thread we had going. Just scanning the guide, you've packed a ton of info in there, nice job! Apparently the strike team gear store is getting a change today though? Feel free to post in either thread -- I've bookmarked both. 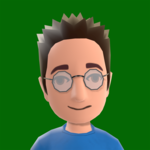 Mostly I wanted control of my own thread so, that when I eventually format this for ProBoards, I can get it posted and added to the Resource Library. I don't agree on the basic 74% bronze chance für a level 1 team, though. My first two teams with no traits at all both started at 70%. My third team got 74% for the first mission, but it started with the lucky trait (+5 to overall effectiveness). I also believe the basic gold chance for a level 20 team is 38%. My first team has no negative traits and get 38% when none of the teams positive traits matches the mission traits. Schachmatt123 : very good info, thanks. 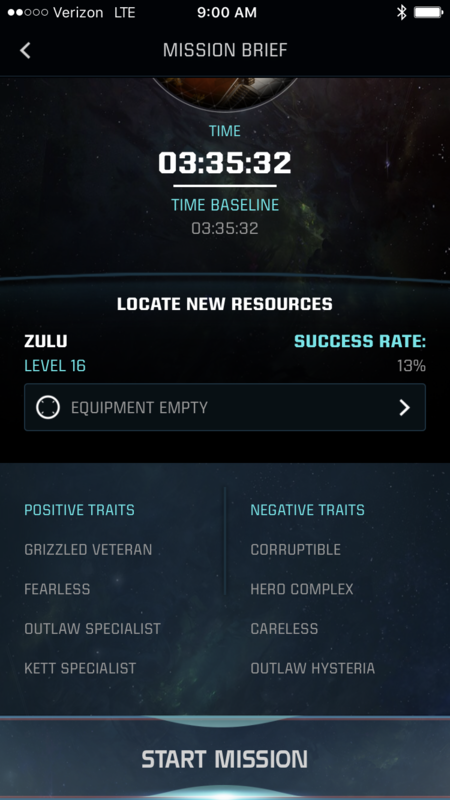 The 70% Bronze baseline sounds right because I believe all of my observed level 1 data was with +5 traits. I've made that update. 38% seems high for the level 20 Gold baseline, but I will investigate further. Looks like they slightly lowered the prices on things (the tier 4 stuff went from 150 to 125, and the overall tier 4 item went from 300 to 250). Still probs not worth it, but that's better. All the descriptions are updated with the double value from original as well now. Nice although I tend to disagree on the equipment-aspect. The 20 Points-Equipment raises success-rates by around 9% for gold-missions, which isn't irrelevant since it increases the time til you'll have to retire your team because of too many bad traits. Recruiting a new team costs credits and requires experience until it's on par with the old ones.It still takes some time to repay the invest though. Great guide, thanks for putting this together. 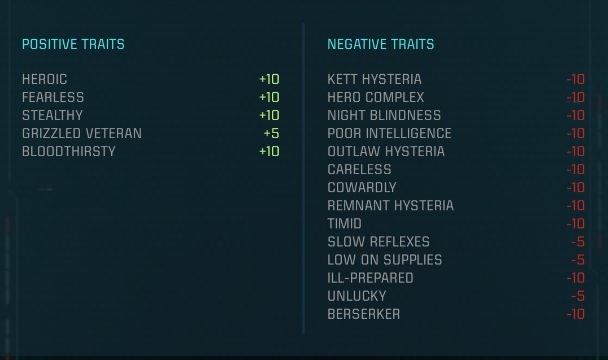 Getting all 15 negative traits seems likely and as well the -5 traits. The negative count for my failteam is currently at 14. In the mega thread, most people with 3 or 4 teams weren't having any issues clearing all available missions (since you can retry failures) with little or no gear. If you couldn't retry, or if they ever add more missions, I'd agree. But the payoff really isn't worth it, unless you hit a bag streak of luck, you don't pick up negatives all that often, and if you just throw one suicide team at a majority of the golds, they'll stockpile all the negatives and still have a reasonable chance of passing gold. My bad team (6 negatives) still hasn't seen less than a 29 percent chance on golds, and still has an 88-90 percent minimum on Silver. I'm still not all that sure I'll ever retire them, because I'm amused at the negatives they are getting. Thanks for the much effort in the guide. I read it all I am however still undecided about the equipment. Your points are valid (don't get me wrong) I bought the omni-effectiveness one (some intelligence kit?) and my team has a reasonably OK success rate of ~60% for Gold missions. Just don`t forget to mention that they can pick up negative traits even after reaching level 20. So.. no real point trying to raise them certain ways in my opinion. Bloodthirsty and Low on supplies. Looks like gear bonuses are finally correctly adjusted. Black Widows now says and gives +18 success to all missions. Prior to today, only gave half of its stated bonus. This is a strike team related question. I leveled my third team to 20 last night and still don't have the Top Talent achievement. Made sure to launch and debrief the third team from Tempest for the last mission instead of the app, but looks like that didn't matter. Anybody have any other ideas for it? Reserving a spot on page one. Stupid but serious question. If I buy gear for a strike team, they get to use it repeatedly right? OMG. That poor team. I feel really bad for that team. If you buy the team new gear, they will lose the old gear. If you retire the team, you currently can't transfer the gear to another team. It's down the drain. Are people invested in these because of the SP loot boxes?